A Level 1 Limited Visual assessment is where Inventory Arborists evaluate designated areas either from vehicles or from walking down paths, streets, or sidewalks to identify high and extreme risk trees. These assessments are intended to cover large areas very quickly with small amounts of details being recorded for each tree. Level 1 assessments can also be used to identify areas or certain trees that may need to have Level 2 or Level 3 assessments conducted as well. As part of the inventory process, the BIS team conducts a Level 2 Basic assessment from the ground of every tree that is inventoried. 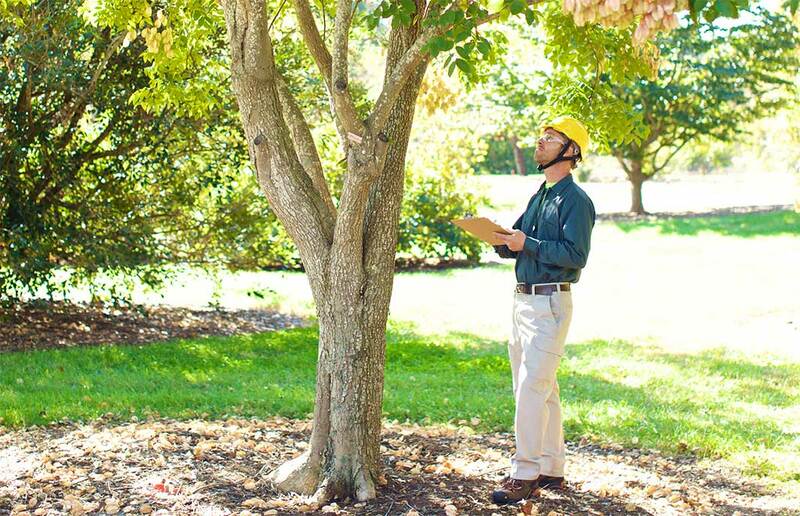 During a Level 2 Basic assessment, Inventory Arborists walk completely around a tree and look for defects in all visible areas of a tree, including the surrounding area. 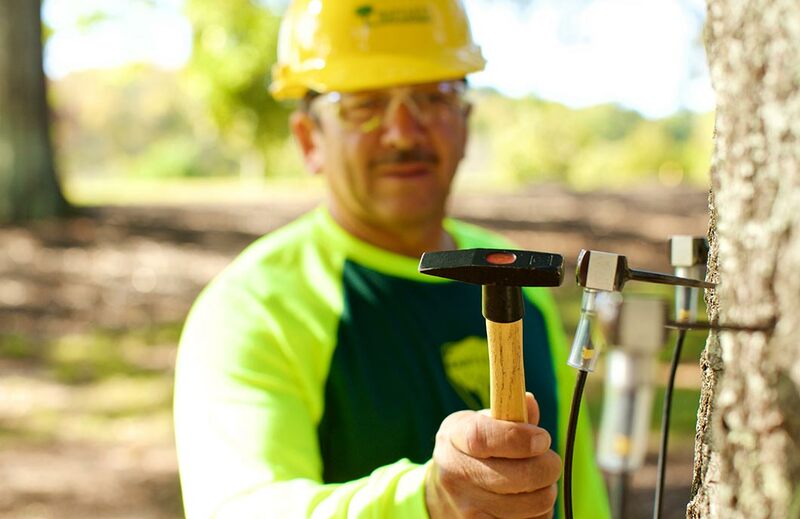 These assessments include the use of a rubber mallet for "sounding" the tree and probes that can be used to evaluate open cavities. During the inventory, or as part of a tree risk assessment project, the Inventory Arborist can determine whether some aspect of tree structure or health indicates that a more comprehensive tree structure evaluation (Level 3 Advanced assessment) is needed to more thoroughly evaluate tree condition and risk of failure. 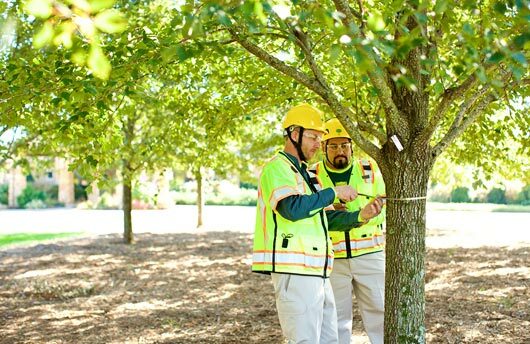 Whether part of an inventory or as a separate project, trees are presented in a risk assessment and mitigation report with noted defects and observations. Level 3 Advanced assessments are assessments of the roots, stem, or crown of a tree. These assessments may include climbing inspections, examination of the root system using a compressed-air tool (that avoids damage to roots and underground utilities), or one or more of the following: resistance drilling using a precision drilling instrument called a resistograph; or sonic tomography that produces a visual representation of internal conditions based on how sound moved through the tree. The BIS team can perform the assessments, whether previously recommended in a tree inventory or as individual projects, and then recommend appropriate measures, such as mitigation, maintenance, or removal. The results are presented in a tree risk assessment report that includes all field observations, pictures, testing results, and recommendation options. This service is not available in your current region.